. : Property Security :: Aztec Services:. 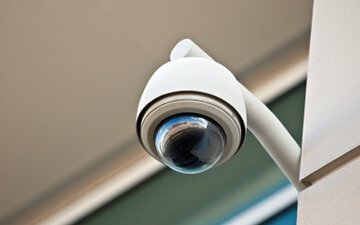 Our CCTV systems, from single camera to full systems, can be monitored remotely via Smartphone from anywhere in the world (data connection or Wi-Fi required). We can set up systems to trigger alarms upon intruder detection and let you know, wherever you are, that there has been an event which may require intervention. In addition, we can install security lighting and other deterrents to complement CCTV coverage and possibly prevent intrusion in the first place. 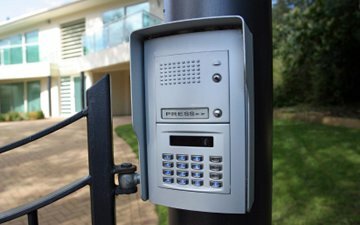 Installation of electronic access control with audio or video intercom devices will allow you to scrutinise visitors prior to allowing them in. Coupled with our gate automation service this would allow you to have full control over access to your property from within your house. For absent owners we can visit your property on a regular basis to deter intrusion and offer peace of mind. 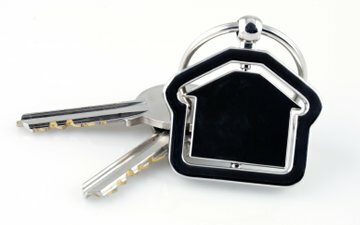 Our keyholding service ensures you have local contacts with access to your property in your absence.